SKU: Sc RGBT003 C. Categories: Red Coral Sponge, Rings. Totally unique! 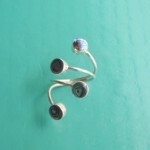 This adjustable ring is amazing. 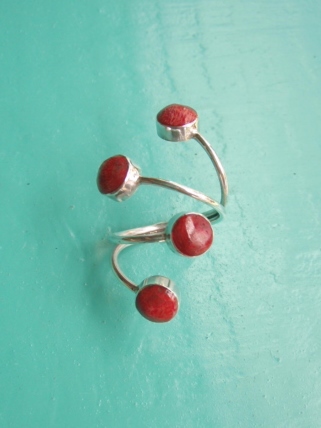 Made up of 4 small rounds of the Red Sponge Coral it can be fully adjusted to suit any finger. 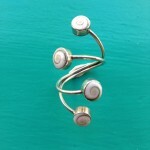 You can pull the 4 rounds right out so it sits the length of the whole bottom part of your finger. 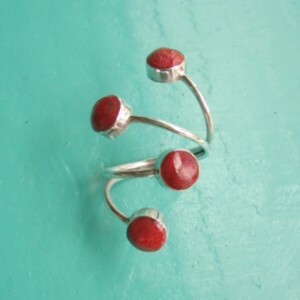 Or you can push the Red Sponge Coral rounds together to have a more compact ring. Work it however you personally prefer. 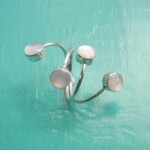 Made with 925 Sterling Silver this ring is perfect for those who love the unusual.